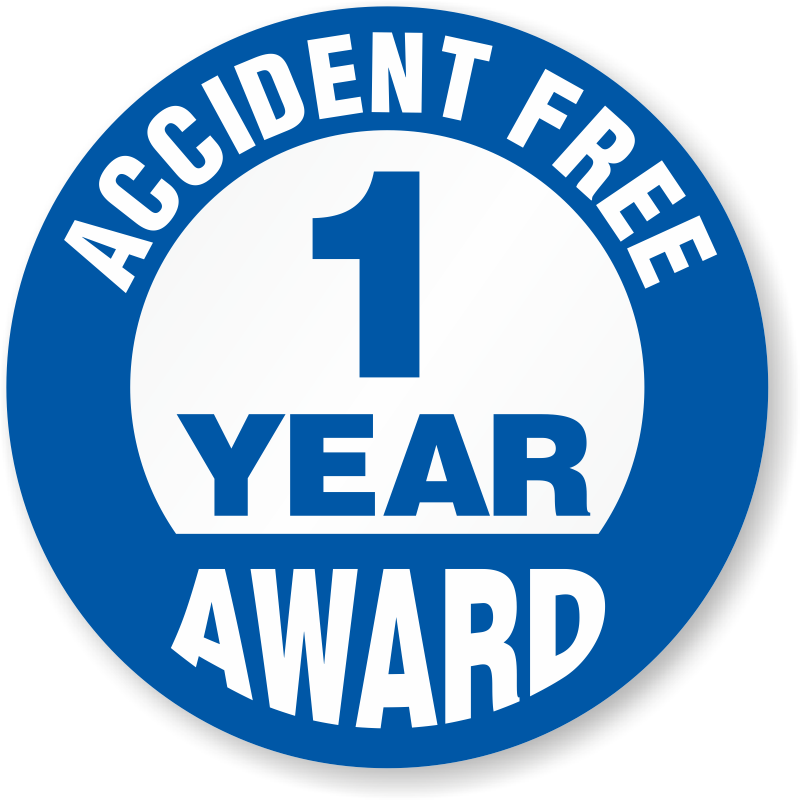 A safety award can go a long way. When you promote and reward safe practices in the workplace, you save time, money and prevent dangerous accidents. 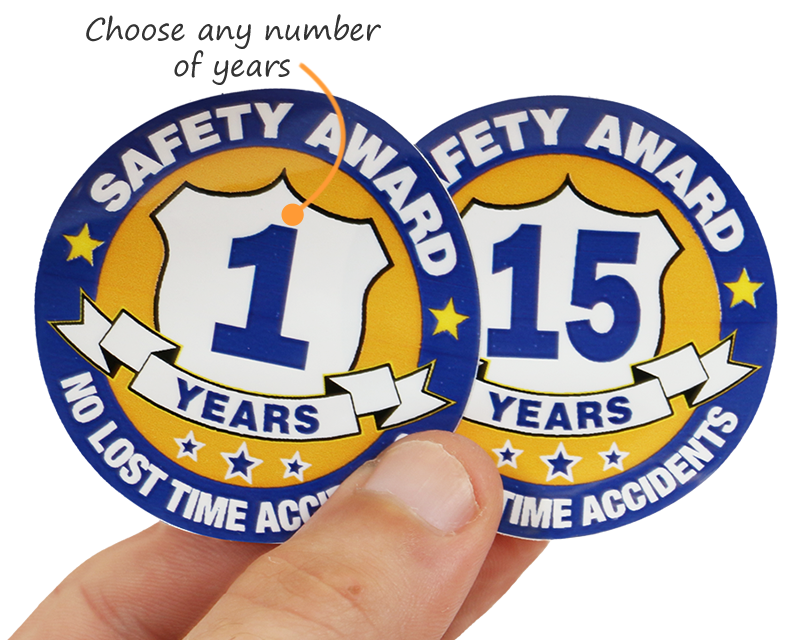 Celebrate accident-free and injury-free years with colorful Safety Award Hard Hat Labels that everyone will see in your facility. 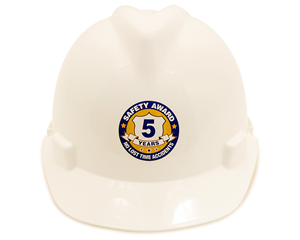 Create a culture of safety appreciation. 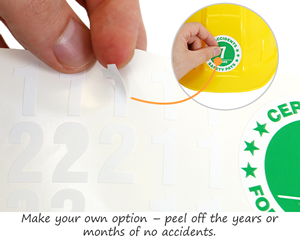 • Materials include both wrinkle-proof labels using HatHugger® vinyl or reflective Spot-a-Hat™ vinyl. 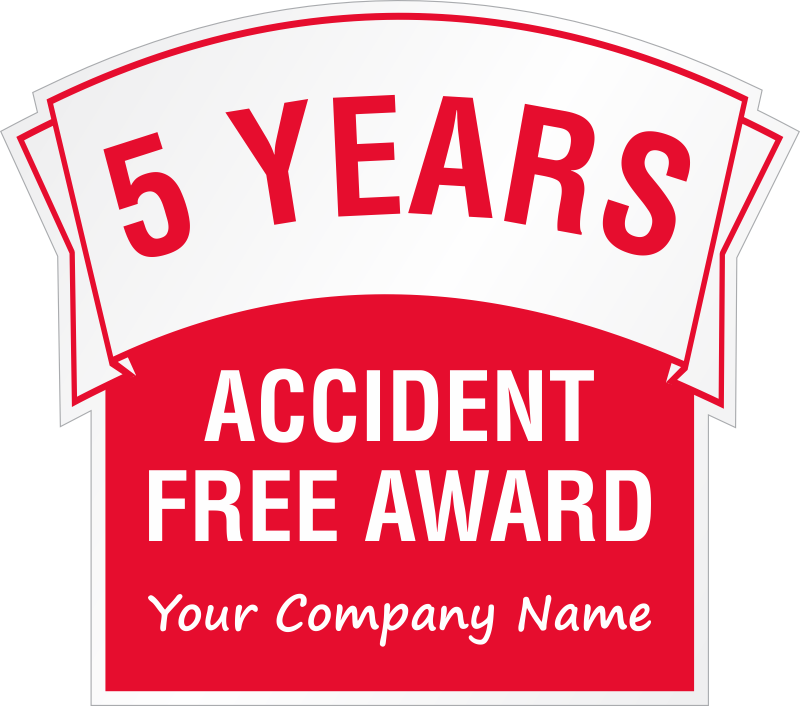 Both are conformable and requested year-after-year by hundreds of our clients. 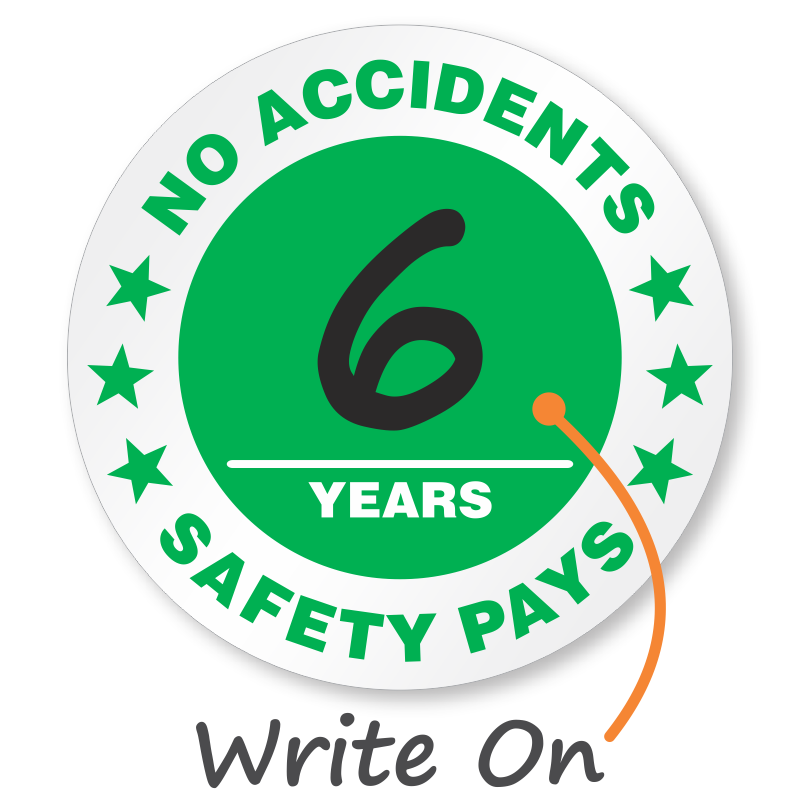 • For many designs, you can preselect the number of years of accident-free work. 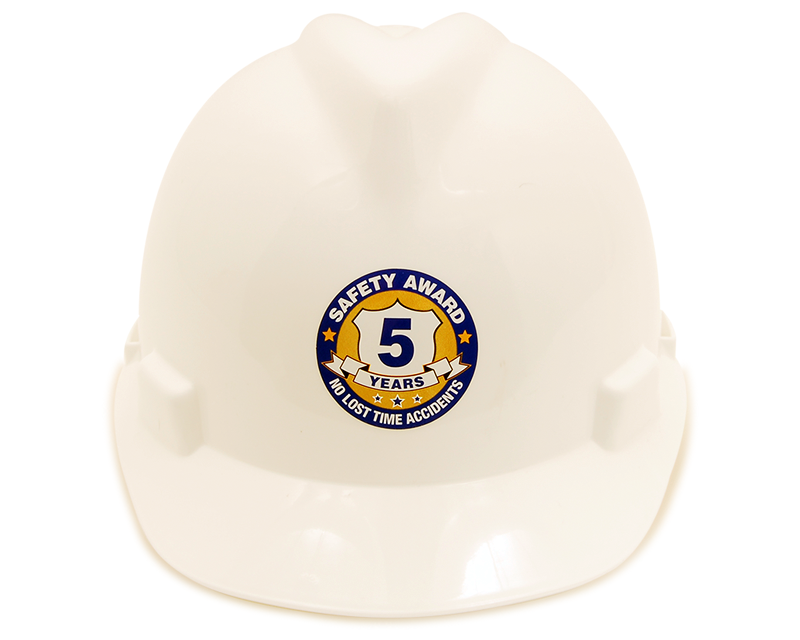 For the greatest flexibility, we also offer a DIY safety award kit. 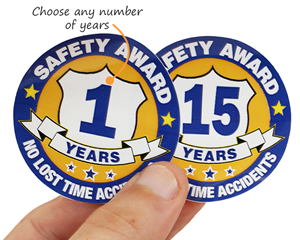 Reward each year of safety! Find labels for years 1 through 50. Wear with pride. Available for 1 Year to 50 Years!